If you want to generate more free and consistent traffic to your website or blog, which is important for all businesses, especially the ones that are planned to generate passive income, then you should learn how to do SEO for articles or blog posts. I will guide you in this article through the steps you should take before, during and after writing your article or blog post in order to make it optimized for search engines. This is the method I follow and it worked with me that you are now reading my article. Stay with me till the end as you will find a lot of value in this article, and I will share with you the source where I learned all of this and more in the conclusion section at the end of this article. First, What Is SEO For Articles? Simply, Search Engine Optimization for articles or blog posts is what makes your content appear at higher ranks compared to other websites on Google and other Search Engine Results Pages when someone searches for something that is mentioned in your article. This includes many factors, part of them is related to your website in general, such as Site Speed and Security, Website Authority, User Experience and Navigability and many other factors. And the other part is related to each article or blog post alone, which is what we will discuss now in a step-by-step approach. However, the ones related to the website itself must not be ignored, as they have a crucial impact on the overall ranking of each article or blog post that you create. In order to optimize your articles or blog posts for search engines, there are three stages that you should follow, and each one has some elements that you have to work on. First Stage: Before writing the article or blog post – Research. Second Stage: Writing the article or blog post. Third Stage: After writing and publishing the article or blog post. This is a very important stage and should not be ignored, as not going through the research might make all the effort you put in the second and third stages go in vain! Simply decide on the specific idea of the article you are going to write. It can be about how to do a certain activity, how to master a certain skill, where to buy some stuff, a product review, …etc. Just be specific about what you want to write about, as you will build the whole article around that idea, which will eventually help you rank on the search engines. This is important, as the keyword is the word or phrase that people will use on the search engines in order to find the information your article or blog posts. 1 – The keyword must be closely relevant to the article idea. For example, if you are writing in the Basketball Skills niche, and the article’s idea is about teaching others how to improve their jumping ability, then an optimal keyword would be “improve jumping ability”, “improve your jumping ability in basketball” “how to improve jumping ability in basketball” or “how to jump higher in basketball”, …etc. Just choose a relevant keyword that is showing the intent of what you are going to deliver in your article. 2 – The keyword should have a QSR (Quoted Search Results) of less than 100 in case that your website or blog is a new one. And it can be up to 200 in case that you have a website or a blog with some authority and a good amount of quality content. But in general, the closer to 0 the better. QSR is simply the number of other pages on the web that are using the same keyword as their main keyword. If you are starting a new website, and you are trying to rank for a keyword with a QSR of 180 for example, you might not be able to rank under that term. Aim for the “low hanging fruit” with the QSR less than 100 until you start getting authority from the search engines, and then you might be able to target higher QSR Keywords. 3 – The keyword must have at least 50-100 monthly searches. If you find a keyword with low QSR but without any traffic, then what is the point of using it in the first place? Now regarding the last two points: QSR and Monthly Searches, you will need to choose an advanced keyword research tool for SEO such as Jaaxy. You can join for the free membership which gives you a free trial before you upgrade to the paid membership, check my Jaaxy Review to know more. Or if you are a member at Wealthy Affiliate, you can enjoy the many benefits of the Starter or Lite Plan of this tool, depending on your membership plan at Wealthy Affiliate. Check my Wealthy Affiliate Review to know more about this platform that teaches a lot of skills and offers a lot of useful tools. SERP Analysis stands for Search Engine Results Page Analysis. You do this by going to the major Search engines such as Google, Yahoo and Bing, you insert your chosen keyword in the search tab and click enter. You will get the first 10 results for this keyword. Check the titles briefly in order to get an idea on how to make your title stands out. For example, if you are going to write about improving the jumping ability, as in the example mentioned above, you might choose your title to specific a certain period to get the results, e.g. “improve your jumping ability in seven days”. Also, check the authority of the sites that are ranked in the first page of the search results. Are they all considered to be high authority sites? If yes, you might need to look for another keyword that doesn’t have such a high competition in order to rank faster. Before starting to write, do your research and come up with a good idea of your article’s architecture. Breakdown your article into major subheadings, each one covering a specific area. This will make it easier for you to write the whole article and to keep it interconnected so that the readers will be able to easily grasp what you are trying to tell them. During writing the article, there are 11 major points, which if you perform, will help you rank higher and faster and stay there longer. As we explained in the SERP Analysis Step mentioned earlier, you should check the results on the first page of the search engine for your chosen keywords. Check the title for each one of them and see how you can write a better title that gets and attention and encourages people to click on it and read the content. The title should include the keyword phrase you have chosen earlier, plus and addition that makes it more interesting. This is the image that appears when you share your post on social media platforms, or on your website’s home page that shows a small summary of each article, as in the following Image. This featured image will help Google to know what your article is about and improve your SEO ranking. For this to happen, when you add the featured image on a WordPress website for example, you will be asked to add the “Alternative Text”. The Alternative Text should include the keyword you have chosen. And then, when Google indexes your content, it will be easier for them to know what the article is about and this will support your SEO ranking as a result. Since this is the image that is going to appear to people when you share your article somewhere, choose an image that makes people interested on clicking on your link and get to the article. This will increase the traffic to your website. You can find high quality royalty free images on Pixabay or Pexels for free. Or you can create your own custom images on Canva. The Meta Title is the first line that appears on the search engine results page as a title, as you can see here. You can keep it the exact title you create it for the article on your website. But in case your original title was longer than 60 characters (which is what will be shown on the search engine results page), then you can keep the meta title shorter, but still including the keyword in it. You can Define the meta title through using a WordPress plugin called “All in One SEO Pack”. Install this plugin and activate it. And then under each article in your admin area, you will find a field where you can fill in the Meta Title. as in the following image. Meta Description is the text that appears on the search engine results page under the meta title. It gives the readers a quick idea on what they should expect to find in the article. Most search engines will show around 230-340 characters. So make sure you write a captivating one that will help people click on your link. You can do this through the “All in One SEO Pack” mentioned in the meta title point above. Inside your article, you will divide the content into few sections as we described in the first stage above during the Content Research step. Make the title of each section in H2 or H3 font size, depending on the theme you are using. Make it easier to read but not aggressive. Use the chosen keyword or one of its synonyms in one of the subheadings, but don’t over do it as this will be considered keyword stuffing and will cause the search engines to punish you. Google tends to rank long articles higher, as these provide more value to the readers, and help them get the answers they seek in the least number of clicks. Also, long, informative content tends to get more shares from the readers for the value it offers. Thus, more traffic. In order to rank on page 1 of the search results, your content should not be less than 1000. And preferred, not less than 2000 words. However, this might vary depending on the industry you are in. Check this article from Neil Patel on How Long Your Articles Should Be. These are the hyper links you use inside your website to connect different articles to each other. Connect from the article you are using to other articles when you mention something related to those articles. And from other articles to the new one whenever a related term is used. This will help Google understand the structure of your website and will raise the authority of each page, which will finally improve the overall ranking. These are the links that you use in order to share with your readers other articles on other websites, or simply the homepage of another website. These give Google and indicator about how much value you are trying to give to your readers by referring them to other valuable resources. For this reason, you can find an article on a high authority website such as Wikipedia or a high authority blog in your industry, and share a related article that provides more information on the same subject of your article. This will make Google appreciate your article and give it a higher rank as you are truly trying to give value to your readers. Visual content makes it easier to engage people. It helps them understand better what you are trying to explain, as I’m doing here in this article when necessary. This part helps to get people’s attention and makes them stay longer on your website, which makes the search engines rank you higher as a result. Also, use the Alternative Text, mentioned in the “Featured Image” point above, with the supporting images so that you make Google understand more what you are talking about. Now this is not necessarily you do in each article, but when there is something you want to explain how to do it in details, and you find a clear high quality video on how to do it, then you can embed it in your article. And it will appear when someone reads your article as if the video was placed inside the article, and they can watch it without going to the original source of the article. This will also increase that time spent on your website and will increase your SEO rankings. This is an important point, as it directly increases the engagement of your audience with your website. Mainly at the last paragraph of the article, as I’m doing below, you either create a button that will direct the readers to buy something if you are writing about a product, or simply you share a link to another relevant post on your website and recommend them to read it or you might ask them to share the article if they liked it. You can make this CTA in a text format, but it is more likely to be used if you make it in a button shape or if you create a custom banner for it. Again, you can do this easily with Canva. Or even you ask them to give you their opinion on your article through the comments section at the end of the article’s page. This engagement is healthy sign that your website is useful to the readers and it is taken into consideration by Google. Don’t freak out if you don’t know what this means. This is probably the easiest and fastest step. Just go to google search page, type in “submit URL to google” in the search bar and press enter. The following bar will appear on the top of the search results page. Enter the URL of the new article that you have created there and press enter. Now you let Google know that you have a new page that you have created and they will index it faster that it would usually take without you doing this step. This step will make other people start visiting your article and start engaging with it. And if they find it useful, they will share it and start giving it some authority. Try to find relevant groups, discussions or hashtags so that it reaches the relevant audience who are likely to engage with it. Don’t spam! But more important, is that when you share it to Google Plus might help index it faster. If you have already built an email list, then share the post with them as soon as you publish it. This will increase the traffic to it and will also make the readers share it with others if they find it useful. Thus, increasing the traffic and helping to rank faster and higher on the search engines. Comments are often not given their real value by bloggers and website owners. But they play an important role in showing Google how engaging and useful your content is. Comments will help in ranking higher and faster! Now how can you get comments? This can be simply by encouraging the readers to give you their feedback or questions in the comment section at the end of the article, like in this article you are reading. Or by joining special platforms that offer real original comments from real people for an exchange of a small amount of money or any other way. If you are a premium member of Wealthy Affiliate for example, you will have an access to SiteComments platform, where you can exchange the credits you have with comments. Or you can offer comments on others’ blog posts, and receive comments on your blog posts in return. This platform offers real original comments from real people. Now that you received comments or questions from the readers, reply to them in details and provide them with more value. This will make them engage more on regular basis and will encourage them to come back to your website more frequently. And again, this will boost your SEO rankings. Now that you have learned how to do SEO for articles, go and apply these steps for each article you create from now on. Don’t ignore some of them thinking that these are a waste of time. 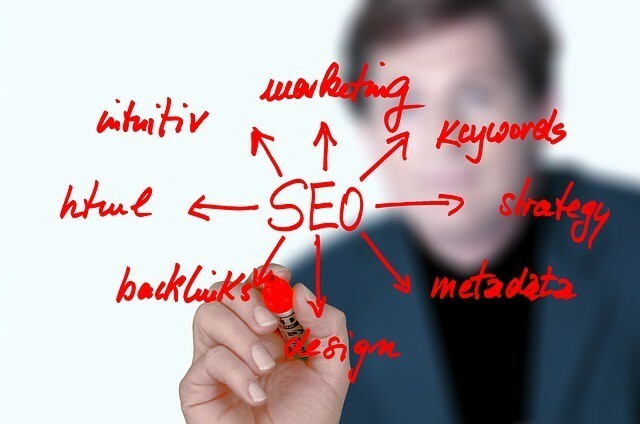 They all will have a positive impact on your SEO rankings. And the time and effort you put in them now, will pay off later and save you a lot of time in the future. Now finally, and before you leave, I want to share with you the source where I learned all of this information and much more. This source is the place where I found the best affiliate marketing training program. It mainly teaches how to become a successful affiliate marketer from the scratch, which is the way I’m now generating passive income with, but it also teaches a lot of skills in different areas of internet marketing, copywriting, online businesses, …etc. You don’t have to join the paid membership. You can join the free, and if you want, you can upgrade whenever you want, or you can stay with the free membership forever. What Is Local Search Engine Optimization And How To Do Local SEO? Hello John and thank you for passing by and for your comment! If you put the time and effort and try to apply these steps to the maximum possible extent, you will start reaping the rewards faster, trust in the process! And don’t worry, although it seems a long list of items to check, but in reality it doesn’t take much time. It actually makes it easier to focus while creating content and makes the process seamless. Let me know if you need any help at any time! Thanks for your comprehensive step by step guide Amjadjujeh. This stuff is gold and I’m going to make sure I bookmark this page and follow this step by step next time I want to create content. Have you found that your SEO results have just soared after implementing these steps? I’m getting excited now. Thanks for sharing these tips! Thank you for the feedback and for the question! Indeed, these are some of the important factors that helps me to get my content rank faster. Make sure that you try not to skip any of them. 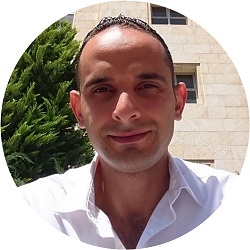 Hey Amjad, I really enjoyed reading your post about SEO. I think it is really smart to divide it into different steps as mentioned above. What I like to do is to make a checklist that I use every time to make sure I did everything possible to get ranked on the first page. I also got to say that the keyword tool you talked about is my favorite one since it is really accurate. Plus it even gives you keyword ideas based on trends and searched keywords. Hey Aaron and thank you for going through my article! Indeed, it is a great idea to create a checklist for all the mentioned items above so that you can easily use it every time you write a post. People think it is time consuming but I actually find it to be saving me a lot of time as it guides me systematically through the necessary steps instead of needing to remember them by myself. And right, Jaaxy Keyword Tool is a great on indeed as it has many features that we can benefit from. I am just getting started with blogging and I know nothing about seo, but I would really want to learn so that I rank my posts well on Google. Your post has been really informative and I have bookmarked it so that I can use it step by step as I write articles on the blog. Thanks a lot for the comprehensive walkthrough. Hello Dave and thank you for your feedback! Checklists are important when we have many points or steps to follow while doing something. Especially if we are new to it. I learnt these skills and other skills from Wealthy Affiliate, which provides a comprehensive step-by-step training for affiliate marketing for both beginners and advanced. Make sure you check my review here. I really enjoyed your article on SEO! My biggest problem has always been creating compelling titles! First of all, nothing is wrong if you use the same title as someone else if you like it. you are still able to outrank him if you follow all other steps and if you keep creating the content regularly on your website. However, I usually try to use the title that mentions either the problem people are facing, for which I’m providing the solution in my article. or I mention a great benefit in that someone is looking for. Another way is to use one of the 5 W’s, which are: What, Where, Who, When and Why and other terms such as: Top…, best…, list of…, …etc . People will be using these words to do the search and when they see them as a title, they are more likely to click on your link. Please let me know if this answer helps you. And if you have an article that you are unable to find a good title for, feel free to ask me, and I will be happy to help you out!